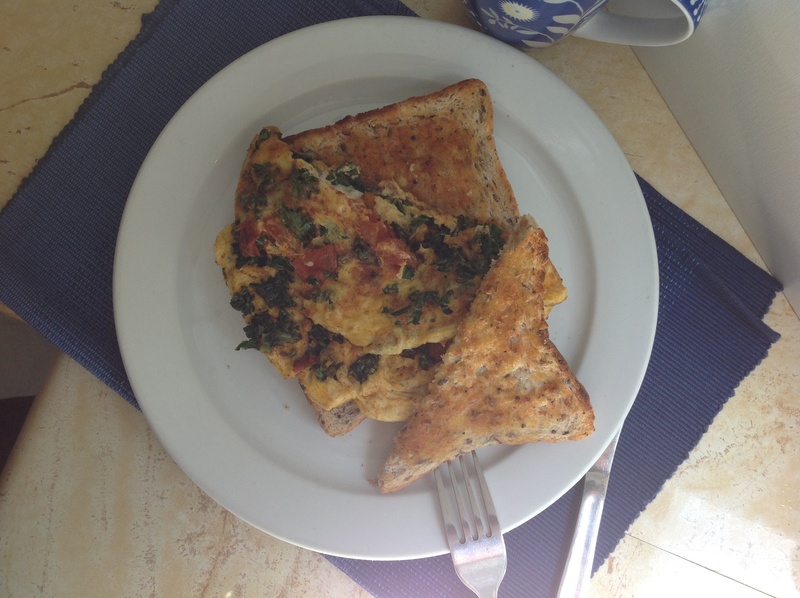 Super Quick Breakfast – Tomato and Kale with Egg. 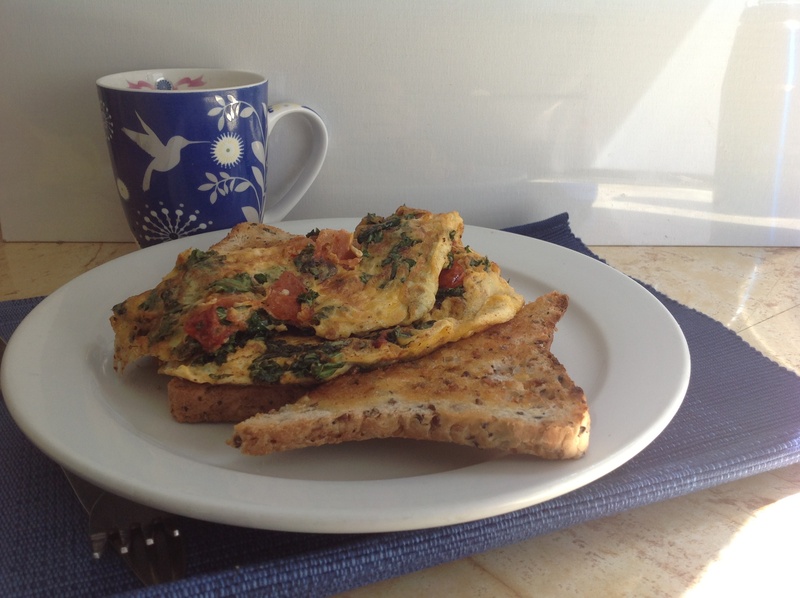 Fancy a quick and healthy breakfast? 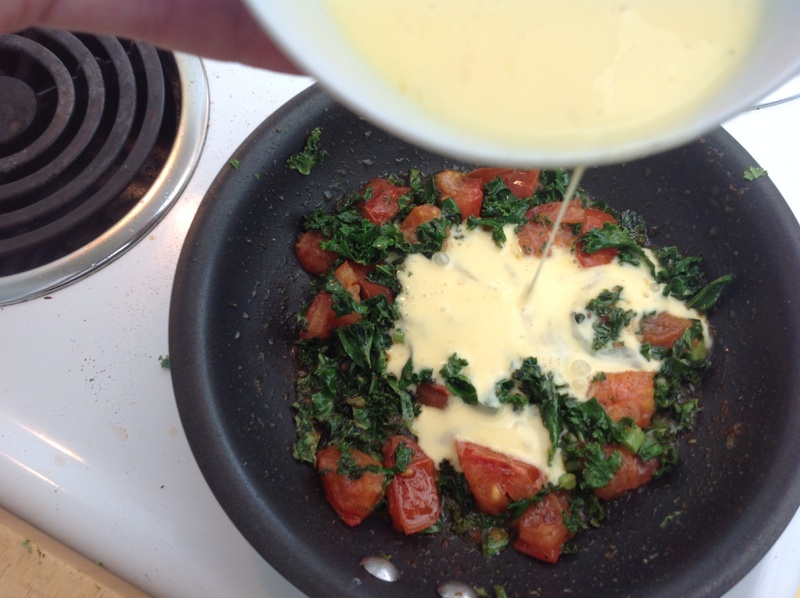 Its really easy, chop up a stalk of kale and dice up a small tomato. Throw them into a small fry pan with a small knob of better and a tiny drizzle of olive oil. Sauté on a medium heat for about 3 minutes then pour over a couple of lightly whisked free range eggs. Season with a little salt, a grind of pepper and a sprinkle of sweet paprika. You can either practice your tossing skills and flip over the omelette or simply place it under a hot grill. “Can I Really Eat It? 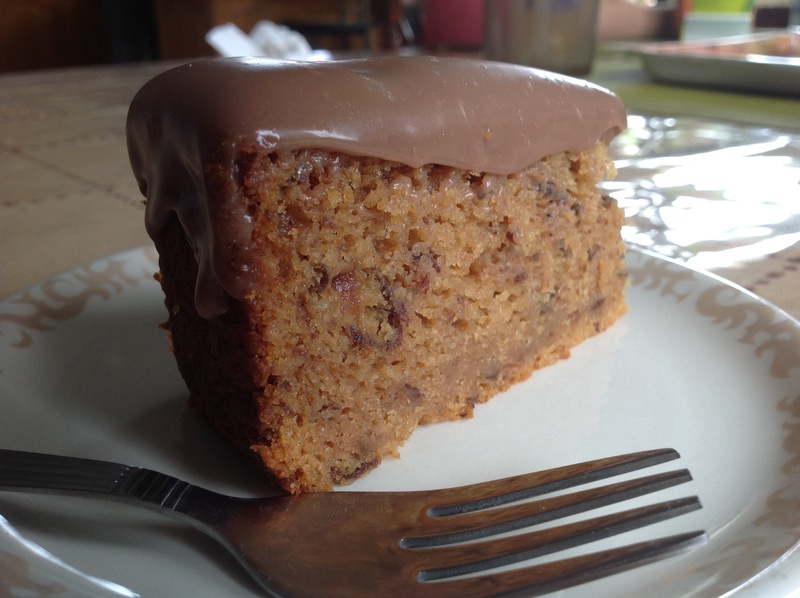 ?” Gluten Free Caramel and Prune Mud Cake. The youngest siblings are twins and its their birthday. We had a sibling night out on Friday and went to the local bistro (Grumpy’s in Hurlstone Park) celebrating birthdays, new jobs, and returns home from holidays. There was seven of us (one sister couldn’t make it but a niece could) Six girls and one boy. Quite the mad gang we are when we get together too. I love the way we each order a separate meal and while eating cut of chunks of our own meals and drop them into each others plates Or simply reach over and help ourselves to each others plates and meals. We then ordered 5 different desserts, plonked them in the middle of the table and went for it. Forks clashed and flew I tell you. Luckily we had one of the beer gardens to ourselves. We had a great time. Yesterday was cake making day. I spent most of the day trialling and making dessert for more family madness at mum and dads today for family lunch. Two birthdays means two cakes. One sister chose a Choc and Cherry Mud Cake while the other (being a celiac) requested a Gluten Free Caramel Mud Cake. 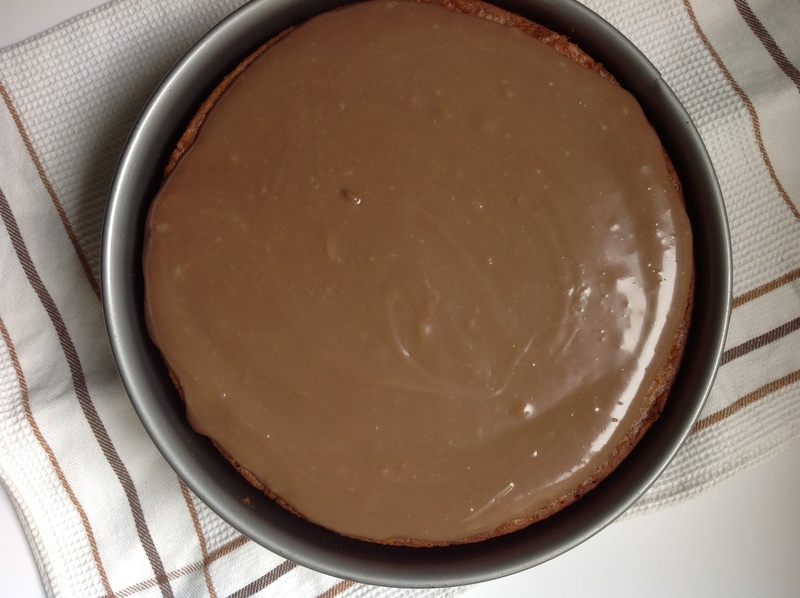 So lets go with the GF cake this time and I’ll do the choc cherry next time…..
To a medium saucepan add 185g butter, 150g white chocolate, 320g milk (I used soy), 100g glucose syrup, and 200g chopped pitted prunes and 50g chopped pitted dates. Put it over a medium heat and gently melt it all together, squashing the dates and prunes with a spoon on the sides of the saucepan. Once the butter and chocolate has melted and the whole lot is smooth, take it off the heat and let it cool down for 10 minutes. Now beat in 2 eggs and then fold in 250g Gluten Free Plain Flour mix (I use Orgran) and 20g gluten free baking powder. 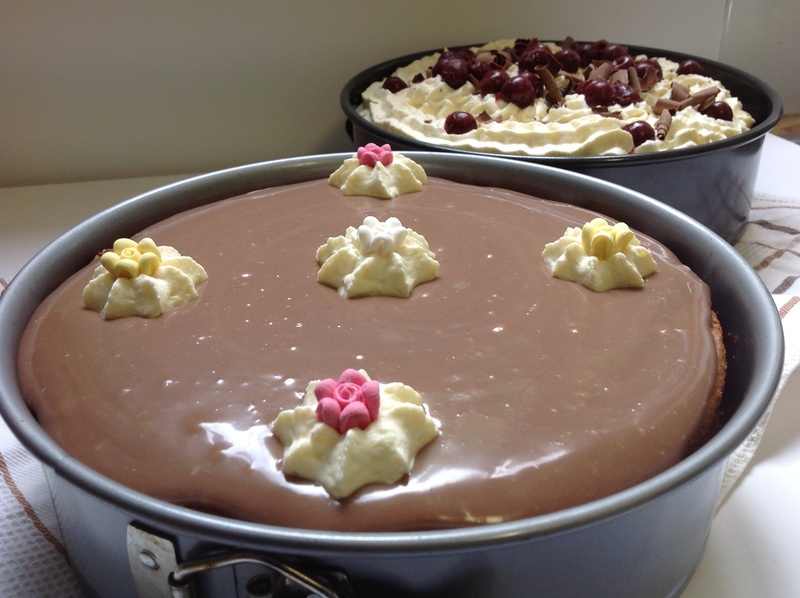 Pour the whole lot into a lined deep 22cm round cake tin and bake at 150c for 55-60 minutes. I let that cool overnight. This morning got up and made caramel ganache for the topping. Simply heat 200ml cream to just before boiling and pour it over a combination of 300g of white chocolate and caramel baking buttons. Leave it for a couple of minutes then stir until smooth. Let it set for a couple of hours or until its the consistency you want it to be and then spread it over the top of your cake. 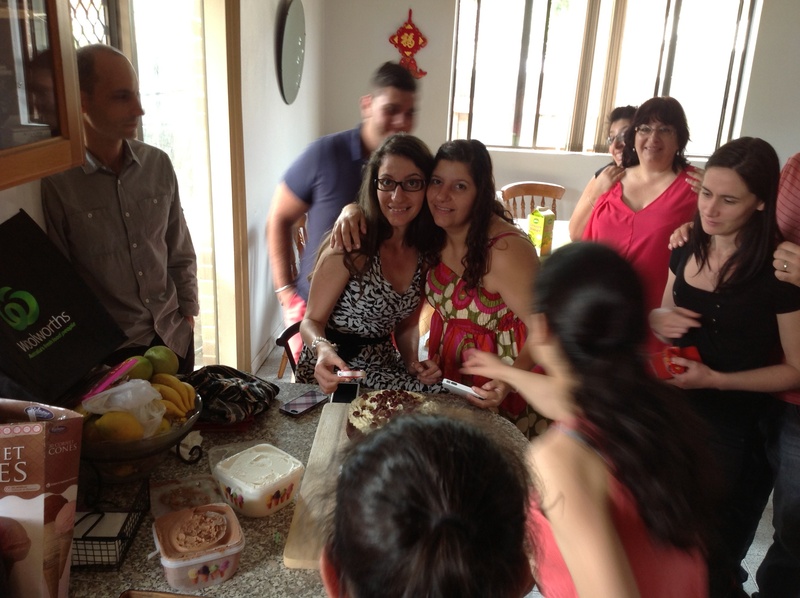 Happy Birthday Jacky and Vicky. 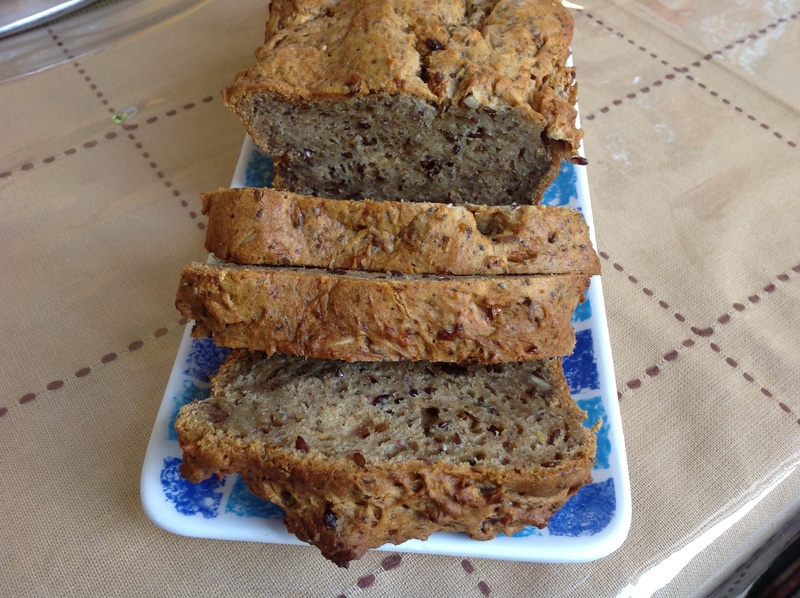 Gluten free delight – gluten and sugar free banana, date and seed bread. 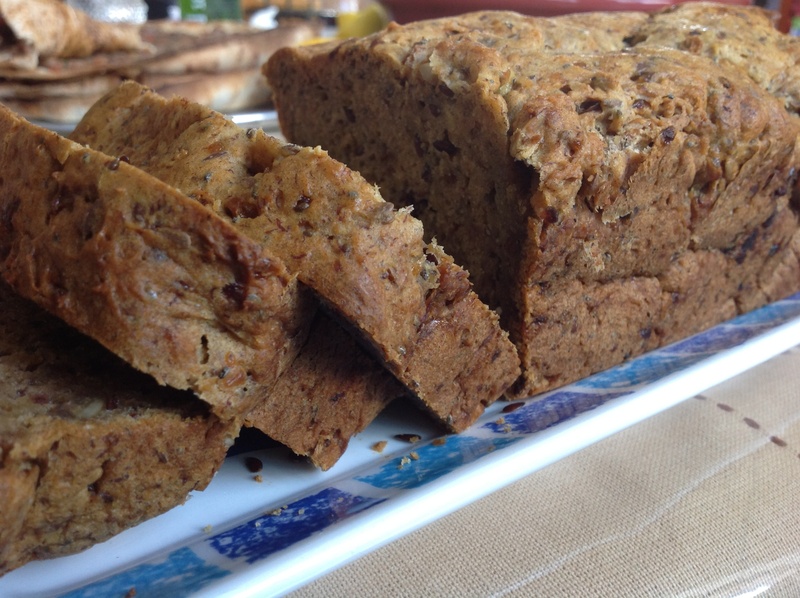 The no added sugar banana bread I made a few weeks ago proved to be quite popular. This time around I attempted a gluten free version so my sister could enjoy it too. She was diagnosed a celiac a few years back, so I try out new recipes with wheat ingredients and then adapt them to make them gluten free. Gluten free baking is daunting at first, but once you’ve done the research and bought the proper ingredient it can be very rewardng and delicious. A lot of recipes ask for several different flours but I’ve been using Orgran Gluten Free Flour and find the only thing I really need to add is Xanthum gum (which I think some supermarkets stock but I just fill a container from my sisters stock). I had tried other brands while I was working at a bakery, but Orgran seemed to work the best. 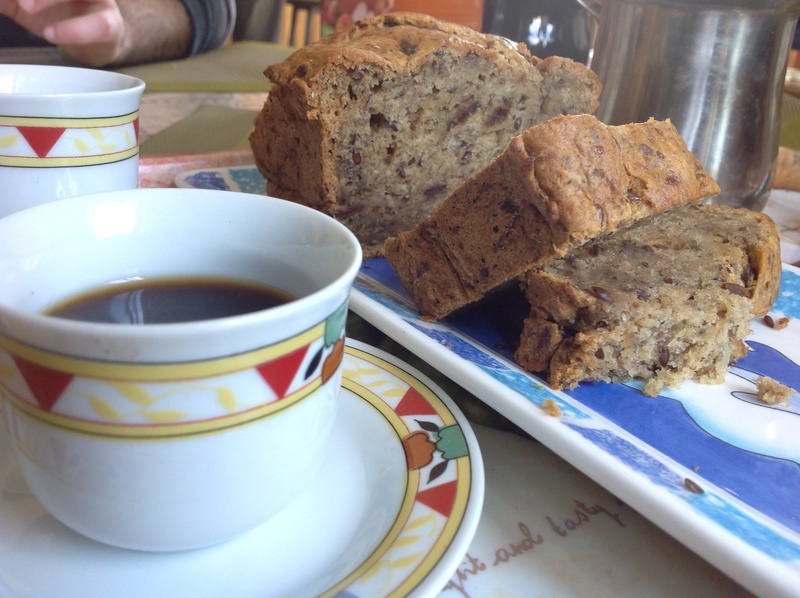 So here’s the Gf, Sf banana bread….. Cream 120g butter with 120g chopped dates and 40g glucose syrup (make sure it’s made from corn and gluten free) until the dates have broken down and blended really well with the butter. Add 1 egg (free range) and beat well. Add 280g peeled and roughly chopped banana and mix in. Next throw in the flour mix and 150g milk (I used soy) at the last minute I also added 60g of seed mix (this is a mix I make up which consists of chia seeds, flaxseeds, pepita seeds and sunflower seeds. It’s great sprinkled on cereal or on the top of homemade bread before baking). Mix well. Spread mix into a baking paper lined loaf tin and bake at 180c for about 70 – 80 minutes. It’s actually surprisingly sweet for something that has no sugar added.